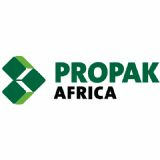 Propak is a must for all stakeholders in the food processing, packaging and labelling industries. This event provides an exciting forum for trading, sourcing of products and education. It also gives buyers leading-edge information on global trends, advancements in technology, product development and market updates.